The dedicated team at Bliss Bail Bonds in Whittier understands that the situation you've found yourself in can be difficult to deal with. That's why we strive to provide the most friendly and discreet approach to posting bail in Los Angeles, Orange County and the surrounding areas. We care about you and your friend, relative or other loved that has been locked up and we will work quickly to get them released from jail. It can certainly be hard on the ears to learn that someone you care so deeply about has found themselves detained, but when you work with Bliss Bail Bonds you can rest assured that we will have you reunited in a very short amount of time for minimal fees. In most cases we won't collect any collateral and with flexible payment plans you won't have to worry about breaking the bank to help out the defendant. Give Bliss Bail Bonds a call anytime day or night to learn more about bail bonds in Los Angeles, Riverside, Santa Ana, Whittier and elsewhere in California. Bliss Bail Bonds is available to help you post bail in LA or elsewhere in California 24 hours a day, seven days a week, 365 days a year. Regardless of your location we can help you post bail over the phone, through email or via fax. Our main goal is securing the release of your loved one in a timely manner. In many cases we will have them out of jail in two hours or less. Just give us a call and tell us the name of the defendant, we will take care of the rest, including locating the arrestee if you're unsure of which jail they are at. 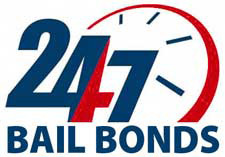 Our team has years of professional experience in the California bail bonds industry. When you need service you can trust, turn to Bliss. We will treat you like family and do everything that we can to reduce the stress in this dire time. Give our team a call as soon as you find out that a person you care about has been arrested at (855) 631-2772 and we will begin the Los Angeles, Orange County, or Whittier, or surrounding areas and can start the bail bonds process right away. "Melinda treated us like family. She helped reunite our family in the most efficient way possible. I could never thank her enough!" "Thanks for helping out my friend. Fast, professional and courteous service! Highly recommend their services!"